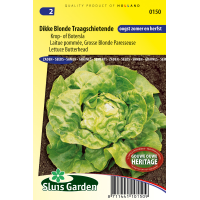 A bright green butterhead lettuce with large heads and a golden yellow heart. Does not run to seed quickly. Particularly suitable for summer and autumn cultivation. Can be grown in a greenhouse (ventilate during warm weather) and can be sown directly in the garden as of mid March. Keep seeds cool in the summer. Thin out liberally and keep sufficiently moist during warm weather. 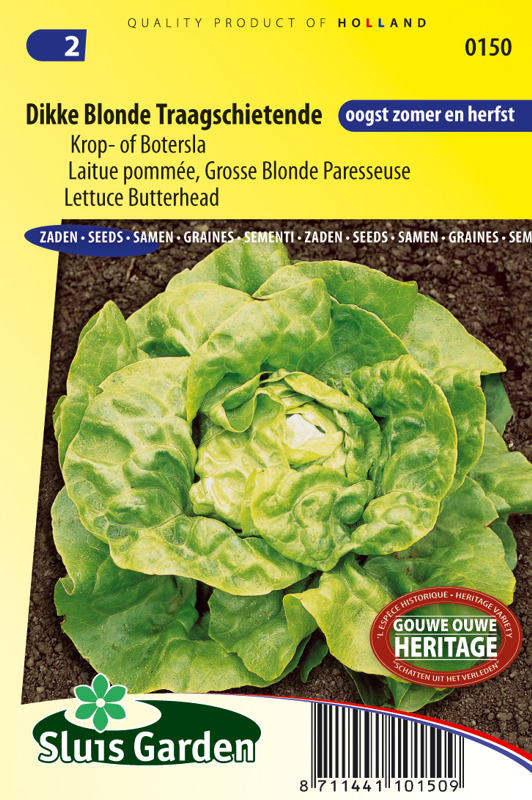 Lettuce can already be sown at low temperatures (> 10ºC).